SEOUL: North Korea’s top diplomat in Italy has sought asylum and gone into hiding, Seoul lawmakers told reporters after a closed-door meeting with South Korean intelligence officials on Thursday. It would mark the latest high-profile defection by a senior North Korean envoy since the deputy ambassador in London abandoned his post in 2016. "Acting ambassador Jo Song Gil’s term was ending in late November last year and he escaped the diplomatic compound in early November" with his wife, lawmaker Kim Min-ki told reporters. Jo, 48, has been acting ambassador in Rome since October 2017 after Italy expelled the then ambassador Mun Jong Nam in protest at a North Korean nuclear test a month earlier in violation of UN resolutions. Italy is an important diplomatic mission for Pyongyang, as it handles relations with the Rome-headquartered UN Food and Agriculture Organization and North Korea suffers from chronic food shortages. Another member of the South Korean parliament, Lee Eun-jae, told reporters that the National Intelligence Service (NIS) had confirmed the envoy had sought asylum, but did not appear to know his whereabouts. 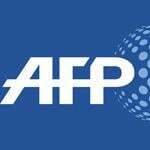 A source close to the Italian foreign ministry told AFP on Thursday the country had "no knowledge" of any asylum request from Jo. The source said the ministry had simply received a request for the "replacement" of the diplomat, but did not know Jo’s whereabouts, adding that the replacement had arrived in Rome. The NIS briefing to lawmakers came after South Korea’s JoongAng Ilbo daily reported that Jo had sought asylum in an unidentified Western country with his family. "He sought asylum early last month," the JoongAng quoted a diplomatic source in Seoul as saying. Italian authorities were "agonising" over what to do, the official was cited as saying, but added that they were "protecting him in a safe place". Jo is "known to be a son or son-in-law of one of the highest-level officials in the North’s regime", the JoongAng cited an unnamed North Korea expert as saying. Most North Korean diplomats serving overseas are normally required to leave several family members -- typically children -- behind in Pyongyang to prevent their defection while working abroad.